Following 2012 family law reforms (often referred to as the family violence amendments to the family law act), the definition of family violence has significantly expanded. This article will look at the definition of family violence (also known as domestic violence) in more detail to see what kinds of behaviour could fall under this new definition. More generally, this article aims to create a greater awareness of the different types of family violence that are now considered by the family law courts as family violence. This includes a range of behaviours that most people would not typically consider to be a form of ‘physical assault’ or a ‘threat’ of violence. 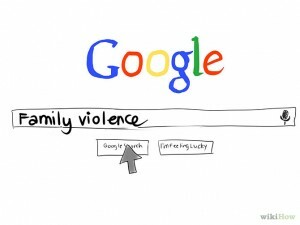 Family violence can be defined in different ways depending on the jurisdiction.1. The test used now is a factual one, involving a discernible link between action and response rather than a ‘subjective’ test of the mind of the victim. In other words, the courts will look at the facts of each individual case to see if there is enough evidence to suggest there was family violence. However, these are simply illustrations of family violence and the conduct doesn’t need to be in this list. As long as the conduct fits in with the above criteria in section 4AB(1), it can be seen as family violence. Nevertheless, this list recognises that family violence can take many forms including physical, psychological and emotion. There have been numerous cases following the amendments which highlight the focus of the definition is now veryfactually based. Different conduct will be defined differently depending on the nature of the context and the factual circumstances. The courts must examine the context in which concerns about violence have arisen. In Labine and Labine,11 the judge stated it is necessary for the court to both assess the degree of risk for the child when coming into contact with the alleged perpetrator and the consequences of any contact for the child and the other parent or victim. The family violence reforms have an overriding purpose of protecting children and families within the family law system from family violence and child abuse.20 The new amendments highlight family violence cannot be pinpointed to one quality and can arise in different contexts. It recognises that it is widespread in different forms and can occur in all socioeconomic and ethnic groups. However, the new definition does encompass a wider definition of domestic violence, and generally, there is a greater awareness of different types of violence that can fall under the definition. Contravention of Court Orders or AVOs. What options do you have? I am undertaking my third year of a Bachelor of Combined Arts/ Law at the University of New South Wales with a major in philosophy and minor in sociology. I am interested in pursuing a legal career particularly in Family Law or Criminal Law, especially aiming to improve and ensure equal access to justice by addressing the issues in these areas of law and difficulties faced by the people.